Giant fossilised snake skeletons found on Cape York have unearthed new links to the Dreamtime myth of the Rainbow Serpent. Fragments of the giant prehistoric snakes, known by the scientific term madtsoiids, that once stalked the Earth have been found by cavers and scientists in the secret "fossil gold mines" of the state's deep north. Dated back to the Pleistocene epoch, between 2 million and 11,700 years ago, the fossils are believed to be akin to a constricting python, a predator that grew up to 7m long and as thick as a telegraph pole. Experts question if the giant snakes intersected with the arrival of the earliest humans and if the extinct creature is the latest clue into the mystery of the popular Dreaming story of Australian Aborigines. 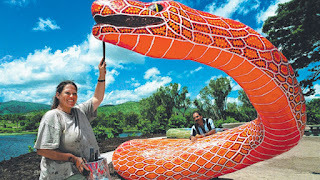 The Rainbow Serpent is a story of creation, where a creature of immense proportions moulded the barren earth into mountains, rivers and gorges as it moved across the featureless land. The underground river system of Bramabiau in the Gard region in France, by Victor Ferrer. Spanish audio, subtitles in French. The local area Georgia Search and Rescue (GSAR) Taskforce 6 recently held emergency training in Oakman to learn new techniques, and to get refreshment on previous training. Taskforce 6 is a GSAR group that is comprised of seven different counties in the Northwest Georgia region. “This is the first year we did search and rescue training, and some of these guys have never really been tested on the ability to search and rescue in our area,” Director of Gordon County Emergency Management Agency Richard Cooper said. The training started at 6 a.m. and lasted until 2 p.m. Some of the training the taskforce went over consisted of tornado situations, locating a GPS spot, finding victims and bringing them from the woods and also extracting someone from a cave using a haul system, according to Cooper. Cooper said the taskforce has been set up for about five years now and is funded by grants. He also added that the taskforce is comprised of firefighters, and on top of the training received to become a firefighter there also has to be 500 hours of additional training to become part of Taskforce 6.
crawls through a tight space in Persistence Cave in Williamson. 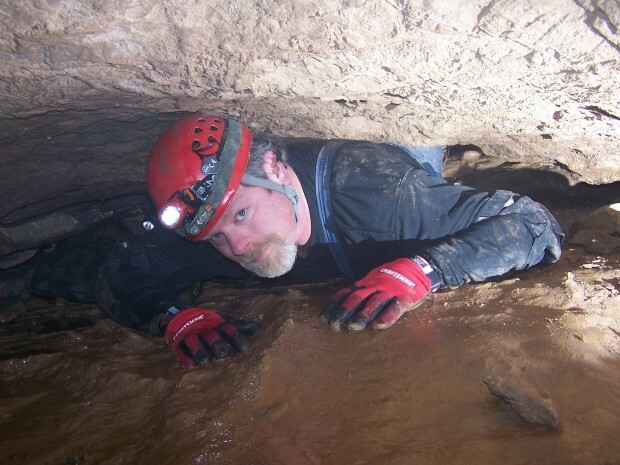 Some 1,000 cave explorers — “spelunkers” to the uninitiated — from around the world are expected to come to Shippensburg next summer for the 2013 National Speleological Society Convention. The convention, the first in Pennsylvania in recent history, will be Aug. 4-10 at Shippensburg University. Typically, the society’s conventions attract cavers from across the United States, as well as from Eastern Europe. Randy Hurst, public relations chairman for the event, said nearly 1,300 people attended the 2012 convention in Lewisburg, W.Va.
technology will preserve its delicate surface. World-first 3D mapping technology is creating a new wave of cave exploration, giving researchers and the public unprecedented access to sites of global significance. CSIRO researchers used the new 3D mapping technology to explore the Koonalda Cave in South Australia, near the western border, for the SA Museum earlier this month. The delicate site in the Nullarbor Regional Reserve, closed to the public, was used as a flint mine by Aboriginal people between about 30,000 and 10,000 years ago. They left strange markings, called finger flutings, in the soft limestone walls by dragging their hands along established grooves. Archaeologist Dr Keryn Walshe from the SA Museum says she wants to work out who made the finger flutings - men, women or children - but they are so fragile they crumble at the slightest touch. "It is really tempting; it is really hard, actually, not to touch this soft surface because it's so inviting," she said. "It's this beautiful pure white colour, it's like snow. It looks so lovely and soft you just want to touch it to see what it's like, but you mustn't." 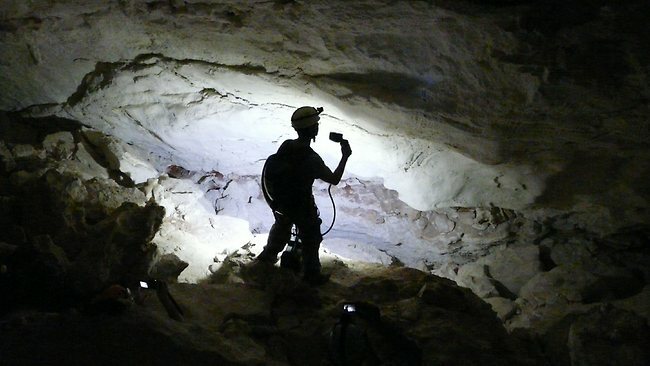 Now researchers can analyse the 3D model from the comfort of their laboratory in Adelaide, using computer software or physical reconstructions of the cave created using 3D printers. Zebedee is a hand-held mapping device designed to be used both indoors and for forestry and other outdoor applications where GPS cannot be used. 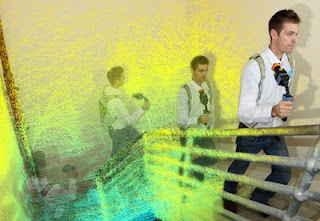 3D Laser Mapping is licensing the technology from a UK start-up called GeoSLAM, after it was initially developed by Australia's national science agency, CSIRO . Zebedee arose out of CSIRO's need to map a set of caves. "Nothing motivates researchers more than inconvenience. And carrying a large stick with a motor and a battery and a computer on a trolley and abseiling into a cave system was just not feasible," explained Elliot Duff, an expert in robotics at the Australian agency. This led him and his colleagues to develop a system that uses "human motion - or passive actuation - to drive the motor of the sensor, not a machine." Zebedee uses the environment to calculate trajectory; the lidar becomes a trajectory sensor, comparing the trajectories of sets of features. The accuracy of the whole system is dependent both on the accuracy of the laser scanner and the feature-richness of the environment (e.g. mapping a long, featureless corridor or room is problematic). Scan data is currently processed offline via Dropbox. "Our intention in future is to make it online real-time, so maps are actually created, too, whilst you're walking round the environment," said Duff. "That has applications for first responders, emergency services and security." Probably the most popular cave dive is in Roubidoux Spring, Waynesville (Mo). Roubidoux Spring is open to certified cavern/cave divers who must check in and present their cave/cavern certification card to the officials in the 911 Emergency Center prior to diving. The center is located adjacent to the Fire Station on top of the hill off Highway 66 just east of downtown. There is no diving fee or permit required. Be sure to sign out after diving! More information on the exploration of this cave can be found here. Greater Cincinnati Grotto is “Simply Caving” at Karst-O-Rama for our 21st year at Great Saltpetre Cave Preserve in Mt. Vernon, KY! Registration is limited to NSS/Grotto members only with the option to sponsor up to a total of three (3) non-member guests. There will be an abundance of cave trips and many family-friendly activities including Kids Corner, climbing contest, photo contest, map contest, survey class, vertical workshop, geology field trip, gear vendors, and more! Pre-registration incentives will be offered. To learn more, visit our website: http://karstorama.com and like us on Facebook for updates. Therion is a complete package which processes survey data and generates maps or 3D models of caves. A new version (5.3.11) has been released and is available here. Therion solves the most annoying problem of cave cartography – how to keep a map of large and complicated cave system always up-to-date. Complete maps with all the detail. No additional ink stroke is needed. It runs on wide variety of platforms: Linux, Windows, Mac OS X. It is completely free, released under the terms of GNU GPL, with source code available. It doesn't require any other commercial software to run. There is no proper evidence to confirm that the Bhagava cave is the place where the Buddha rested after placing His footprint on the top of the Sri Pada, Archaeological Director General Senerath Dissanayake said. 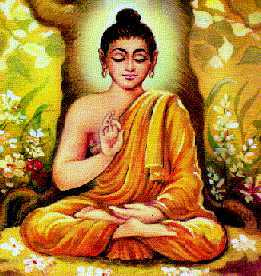 He further said that, the Bhagava cave is rich in Buddhist history. There are three epigraphs at the site. Two of them were written by King Nissankamalla. The third one was written in Arabic by Ibn Battuta. Nissankamalla is the king who kept the largest number of epigraphs. However there is nothing mentioned in these epigraphs that the Bhagava cave was the place where the Buddha rested with monks after placing His footprint on the top of the Sri Pada. The Director General was addressing a press conference at the Archeological Department yesterday. These potholers really know how to ‘get down’ and party after holding their Christmas bash 200ft underground – in Britain’s largest cave. 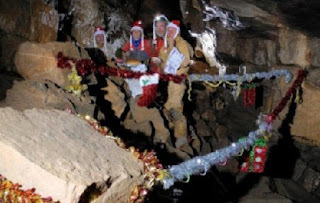 The group – called The Tuesday Diggers – decided to hold their annual festive party in a massive cavern they discovered in September. A gruelling hour-long descent led the five revellers to the Frozen Deep, a 98ft-high, 200ft-long chamber in the Mendip Hills, near Cheddar, Somerset. The pals lugged Christmas decorations, party hats, food, mulled wine and even a Christmas tree through 150ft of narrow rock passageways to liven up the cave. Caver Martin Grass said: ‘It was definitely the most interesting Christmas party I have ever been to." 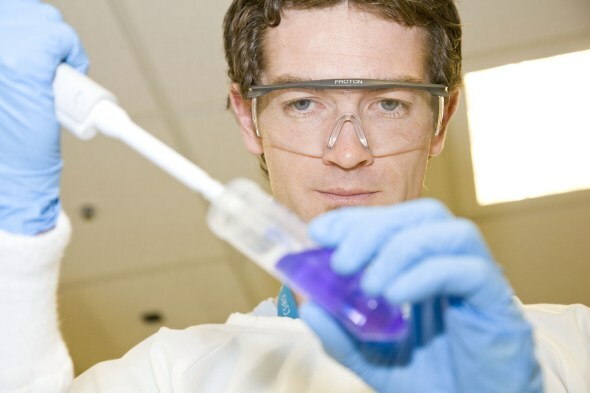 The Bat Pack, a team of researchers at the Australian Animal Health Laboratory (AAHL) in Geelong, conduct a wide range of research into bats and bat borne viruses, and their potential effects on the human population, as part of the effort to safeguard Australia from exotic and emerging pests and diseases. Their paper, published today in the journal Science, provides an insight into the evolution of the bat’s flight, resistance to viruses, and relatively long life. The Bat Pack, in collaboration with the Beijing Genome Institute, led a team that sequenced the genomes of two bat species – the Black Flying Fox, an Australian mega bat, and the David’s Myotis, a Chinese micro bat. Once the genomes were sequenced, they compared them to the genomes of other mammals, including humans, to find where the similarities and differences lay. Chris Cowled, post-doctoral fellow at AAHL says the research may eventually lead to strategies to treat, or even prevent disease in humans. 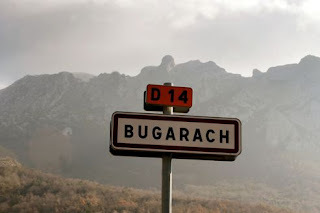 Concerned French authorities have started to keep an eye on the town of Bugarach, which according to esoterics will be the only place on our planet Earth to survive December 21, 2012, Doomsday, according to a Mayan calendar. All access roads are controlled by police and the local cave rescue section is taking measures to prevent accidents from people goint into the large cave systems located inside the mountain. More information on why this town may be the only one spare can be found here. The National Cave and Karst Management Symposium (NCKMS) is now accepting abstracts for its next meeting, which will be held on 4-8 November 2013 at the National Cave and Karst Research Institute (NCKRI) in Carlsbad, New Mexico. This is the 20th of this internationally attended conference series. 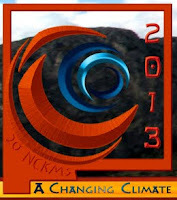 For details about the conference and to submit an abstract, go to https://sites.google.com/site/nckms2013/home. Boudinet, P. 2012. A statistical model of karstic flow conduits. A statistical model of karstic flow conduits, based on statistical physics of random walks, is developed. It allows us to compute the mean depth of flow conduits versus the distance from the inlet and versus the dip. It provides results that are in good qualitative agreement with previous results of other authors: the mean depth increases, slowly, with the distance, and it increases, not in a regular fashion, with the dip. The variability of the depth of the conduits, possibly leading to some conduits far from the water table, and the fact that well developed conduits are scarce or not, is linked to the probability of exploitation of the different fractures, the potentially permeable bedding planes, faults and joints in the karstifiable rock. On the basis of this result, we propose that interesting cavities - from the point of view of caving and cave diving - are found only in a small range of those exploitation probabilities. Finally, we emphasize the non-euclidean properties of flow conduits; especially, that many shortest pathways may exist and that a straight line is not usually the shortest pathway that actually develops between inlet and outlet. Archaeologists must climb tiers of orchid-encrusted rain forest, where jaguars roam and anacondas slither, to arrive at one of the Amazon’s most stunning sights: a series of caves and rock shelters guarding the secrets of human beings who lived here more than 8,000 years ago. An iron-ore mine in Pará. Scholars say the caves there tell the story of early humans of the Amazon and should be saved. Almost anywhere else, these caves would be preserved as an invaluable source of knowledge into prehistoric human history. But not in this remote corner of the Amazon, where Vale, the Brazilian mining giant, is pushing forward with the expansion of one of the world’s largest iron-ore mining complexes, a project that will destroy dozens of the caves treasured by scholars. 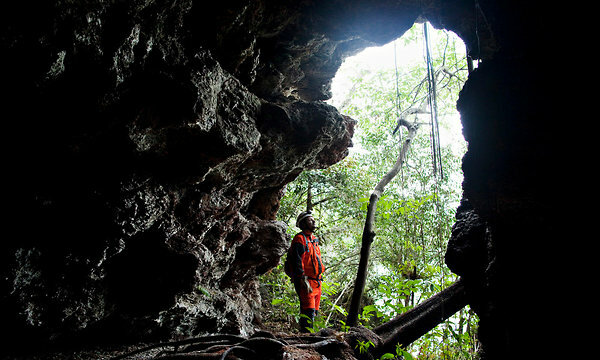 The caves, and the spectacular mineral wealth in their midst, have presented Brazil with a dilemma. The iron ore from Carajás, exported largely to China where it is used to make steel, is a linchpin of Brazil’s ambitions of reviving a sluggish economy, yet archaeologists and other researchers contend that the emphasis on short-term financial gains imperils an unrivaled window into a nebulous past. 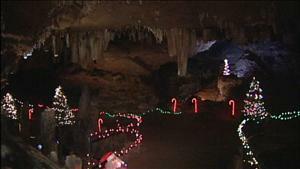 Friday is the start of "Christmas in the Cave" at Cherokee Caverns. You can spend the evening getting in the Holiday spirit and learn some geology. Volunteers at Cherokee Caverns near Oak Ridge have spent the last month hanging more than 20,000 Christmas lights and decorations inside the cave. Families can walk the mile loop inside the cave which stays a balmy 58 degrees year round. Also, families can take a picture with Santa and, of course, learn about mother nature. The Director of Cherokee Caverns, Jim Whidby, says, "They can enjoy a wide variety of cave formation, stalagmites, stalactites, androdites. I encourage folks to come out and enjoy the beauty of the cave. It is the most historical cave in Knox County.The only one of 171 caves that was open to the public." "Christmas in the Cave" runs Friday and Saturday night from 5:30 p.m. to 8:30 p.m. and next Thursday through Sunday. Tickets are $8. 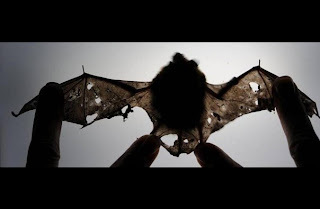 A study just published in Applied and Environmental Microbiology shows that the fungus can survive in soil for months, even years, after the bats have departed. This is not good news for the bat population, says lead author Jeff Lorch, a research associate in the Department of Forest and Wildlife Ecology at the University of Wisconsin-Madison. "We have found that caves and mines, which remain cool year-round, can serve as reservoirs for the fungus, so bats entering previously infected sites may contract white-nose syndrome from that environment. This represents an important and adverse transmission route." "This certainly presents additional challenges," adds David Blehert, a microbiologist at the U.S. Geological Survey National Wildlife Health Center in Madison, who also led the study. "It's important that we have completed this foundational work that further implicates the environment in the ecology of this infectious disease. We can now collectively move forward to address this problem." Ever wonder how fish can find their way around so easily in murky water? Well, most of them use something called their lateral line – a row of hair cells down either side of their body that detect changes in water pressure caused by movement, or by water flowing around objects. 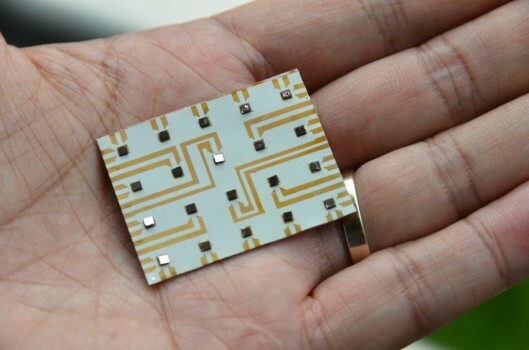 Now, scientists from Singapore’s Nanyang Technological University and MIT have copied the lateral lines of the blind cave fish, in a man-made system designed to allow autonomous underwater vehicles (AUVs) to navigate more accurately and efficiently. Ordinarily, AUVs use cameras, sonar, or an underwater acoustic positioning system. Cameras aren’t much use in murky water, however – and a lot of the world’s water bodies are murky. Sonar and acoustics are better in such situations, but the hardware can be expensive, and taxing on the AUV’s batteries. The Cave will be Double Fine's first foray on a Nintendo system, believe it or not. At a demo event last week, I spoke with Double Fine's Chris Remo and got our first glimpse at The Cave on Wii U. Above, you can see how the WiiPad plays into the game. It's essentially a glorified character selector and camera controller – by tapping on a character, you'll jump to them; by tapping on a character twice, you can switch the camera focus to them. In The Cave, characters cannot move independently off-screen. "So other than that, it pretty much plays like all the other versions," Double Fine's Remo told me. "We did work really hard to ensure that visually everything you're seeing is identical to the Xbox 360 and PS3 versions, so there's no downscaling, there's nothing going on that is not up to par with the other next-gen systems. There's nothing super wacky going on, but it's a completely full-featured version of the game." 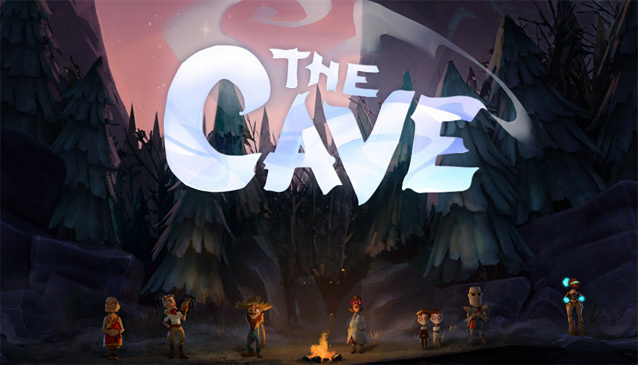 The Cave launches on Wii U next year. If you have seen any of Peter Jackson’s movies, such as this week’s release of The Hobbit: An Unexpected Journey, then you have probably noticed the logo for the special effects company Weta Workshop, which works on most of the director’s New Zealand–based projects. The workshop is named after a bunch of endemic New Zealand insects that look, at first glance, like crickets or grasshoppers on steroids. Weta consist of about 70 species of the largest and heaviest flying insects in the world. Some giant weta species — “very cool, prickly little monsters,” as Weta Workshop puts it — weigh in at up to 30 grams and boast bodily lengths of up to 10 centimeters. 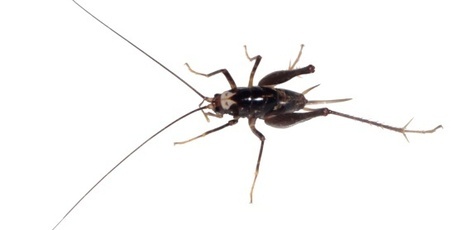 A newly discovered member of the group—the Denniston white-faced cave weta—isn’t quite that big or monstrous. 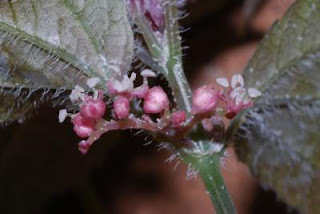 In fact, the scientists who found and tentatively named the species (it hasn’t been given an official taxonomic name yet) don’t know how big the species grows, because only juvenile insects were found. But they do know that its only habitat could soon disappear. The remote possibility that an AIDS treatment can arise from the study of white-nose is about the only positive development since the bat disease was first discovered in a cave near Albany, N.Y., in 2008. Between 5 million and 7 million bats of various species have died from the disease since that year. 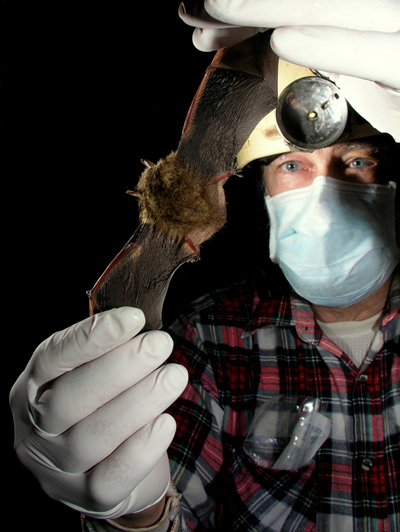 In Pennsylvania alone, 95 percent of little brown bats have died. Bats have an ugly reputation as villains in books and movies, but in reality are as important as birds and bees. They pollinate plants, and a single reproductive female consumes her weight in bugs each night. A colony of 150 brown bats can eat enough adult cucumber beetles to prevent the laying of eggs that results in 33 million rootworm larvae in summer, according to a study cited by Bat Conservation International. and an ancient cemetery dating back more than 10,000 years. The finds were part of a year-long research by scientists from the Viet Nam Archaeology Institute and the Novosibirsk Institute of Archaeology and Ethnography. 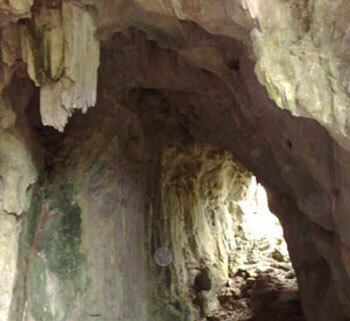 Announcing the results, the provincial culture department said the objects were from the third excavation this year in Con Moong Cave in Thach Thanh District. They were evidence of the development of civilisations from the Palaeolithic age (2.5 million BC to 10,000 BC) through the Neolithic age (9,000-6,000 BC). Discoveries show tool-making techniques using pointed stone pieces, to self-sharpening stone tools, and changes in lifestyles from hunting and picking to early farming. During the August 2012 expedition a dry cave connection was made between Sistema Dos Ojo's Don's $100 Cenote entrance and Sistema Sac Actun's (Nohoch Nah Chich) Pet Cemetery entrance. It follows a similar path taken by Kay Walten, Gary Walten, and Dan Lins over a decade ago. The following team helped surveying the new connection: Don Arburn, Gill Ediger, Aida Ferreira, Devra Heyer, Carrie Hutchins, Pat Kambesis, Chris Lloyd, Rene Rogers Ohms, Bev Shade, Peter Sprouse (the cartographer), Terri Sprouse, German Yanez, and Jacinto Vela. The cave system is now the longest underwater cave system known to man, with a total surveyed length of 308,407 m (=308 km) and a depth of 127.6 m, making it at the same time the second longest cave in the world (See Bob Gulden's list of longest caves in the world). A complete report can be found in the December 2012 edition of the NSS news. We are also pleased to report a recent underwater connection between Sistema del Mundo Escondido and Sistema Sac Actun by Alex Reato. Future information on the exploration can be found on the website from the Quintana Roo Speleological Survey. Mammoth Cave is the longest known cave system in the world. It's a popular tourist destination. It can also be a dark and dangerous place. Some people say one early explorer is still roaming the cave, even though he died there long ago. "Sometimes people hear things, feel things or see things they can't explain," said tour guide Colleen Olson. Olson has been exploring the cave system and collecting stories about it for more than 20 years. "Stories that were passed down," she said. "Stories I heard from other cave guides." One legend might not be just a story, but a haunting. William Floyd Collins was known as one of the great cave explorers of his time. "A man who was trapped in a sand cave, a separate cave, back in 1925," according to Olson. After 14 days underground, Collins died of exposure, thirst and starvation. His body wasn't recovered for another two months. "And then, back in the 1920s and 30sm his body was on display in a section of Mammoth Cave called Crystal Cave," Olson said. Some people think Collins plays tricks on them in the cave. But guides say Collins has also been known to help prevent them from meeting his same fate. 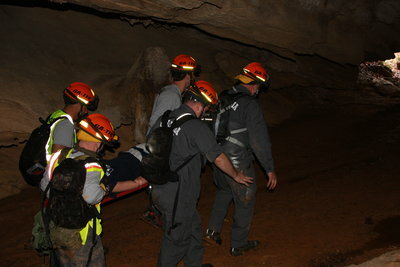 "For example," Olson said, "there's one story that a caver told me that she was caving near part of the cave where Floyd, when he was alive, would go caving, and she tripped and she started to fall, and then she felt somebody grab her and pull her back, and of course she thought it was her caving partner. So she was about to say, ‘Thanks, Richard,' thanking her pal, but he was way on the other side. So then, when she realized it wasn't Richard, she said, ‘Thanks, Floyd.'" 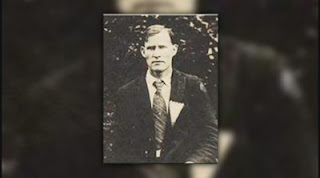 In live, Floyd Collins helped map and discover the longest known cave system in the world. In death, he might still do the same. Potholers are being warned to take extra care when tackling a cave in the Yorkshire Dales which is in a “dangerous” state. The Hole in the Floor shakehole, one of the entrances to Langstroth Pot, on the fell above Yockenthwaite, has had a collapse due to heavy flooding over the past 12 months. The issue has been flagged up by Bradford-based White Rose Pothole Club. It advises that “extreme care” should be taken when using the route. A warning has gone out on the club’s website and the danger is also flagged up on the Upper Wharfedale Fell Rescue Association website which carries out rescues both on the fells and in the caves of the area. A spokesman for the White Rose Pothole Club said: “In the past month two slabs of rock have been cleared from below the entrance that were blocking the passage forward. The rock is fractured here and is being undermined by floodwater.